You love your family. No doubt. But sometimes relationships are not all rainbows and doves. We need to account for the harsh times in the equations of daily life: the chores, the repetitive actions, the tasks no one is excited to do. If only there existed a service that would help you sort it all out, you'd be inspired to rekindle the spark with your partner and have more fun with your kids than ever before. That service is Setapp, which curates the top apps for couples in the easy-to-manage platform, readily available to be used daily. With something for everybody, from kids to parents to grandparents, Setapp is a great syncing tool for the whole family. Let's take a quick look at the apps that can direct you towards harmony, productivity and organization while allowing for some fun in the process. A couple's life is supposed to be thrilling, romantic and full of loving moments. However, in reality, we are always short of time, hassling through work, picking up kids from school and cooking dinner. When did something so special turned into something so mundane? A key to reclaiming valuable time as a couple is in organizing your life, planning your future and sharing your thoughts. And here Setapp is of great help. 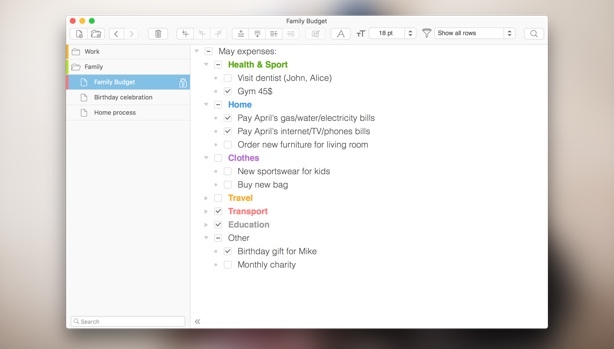 Every morning, try using the NotePlan note-taking app with your spouse to make a to-do list for the day and assign deadlines and responsibilities. Just 10–15 minutes of such planning will bring clarity and peace of mind to your otherwise hectic routine. NotePlan allows you to take quick notes, which are then synced across your devices, and your notes can become a checklist or to-do list as needed. One more option that might suit your needs better is Cloud Outliner. A rich-text editor in itself, it instantly syncs with all of your devices and easily exports and imports anything you jotted down. But not everything you want to share with your spouse could be written down. A lot of inspiration is visual, whether nomadic travel photos, interior design collages, or screenshots from favourite films. To completely align your visual aesthetic, open up Inboard — an app for visual inspiration, like a desktop version of Pinterest. With Inboard, your images will be organized for easy access and never get lost, inspiring your next creative project. Whether you're a fresh couple trying to make the BIG merge by moving in together, or you're a veteran couple looking for a better way to make sense of your budget, MoneyWiz is the budgeting app of choice. 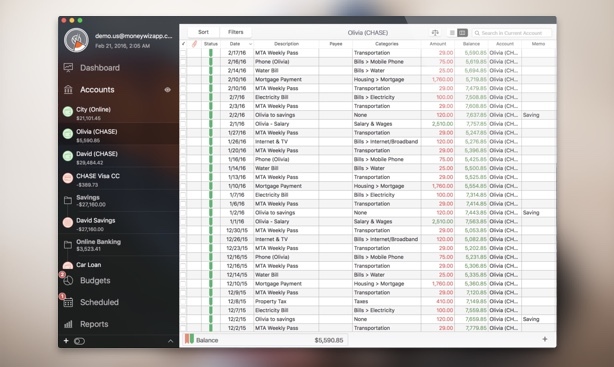 Easily managed with Setapp, MoneyWiz can be your one-spot for gathering all your accounts, budgets and bills, while also retrieving powerful reports that will shed light on how to better handle your money. It's not easy to share financial responsibility and it's even harder to try to do so manually. MoneyWiz provides an instant sync for all your devices so you can easily get in tune with your better half. Another stunning billing app that acts as a kind reminder for paying bills (if there is such a thing as "kind" when it comes to bills) is the Chronicle app. Bills are so easy to forget, and Chronicle is the perfect reminder. It even helps you to pay them online, with all the proofs stored safely. 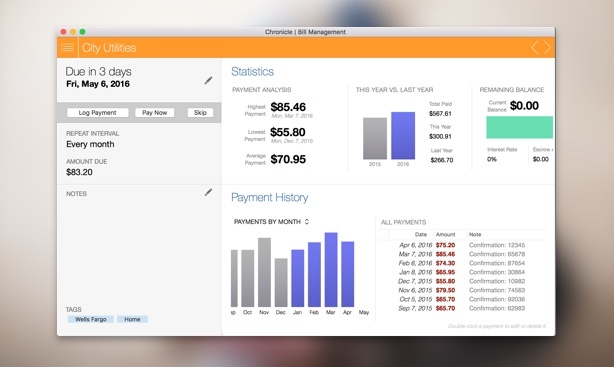 Chronicle also tracks your spending and delivers a better way of budgeting fluctuating bills so you can plan accordingly. accordingly. The best apps are designed to make your life simpler. And everyone knows well the frequent annoyance of having to calculate percentages or conversions. That time lost will never be recovered. 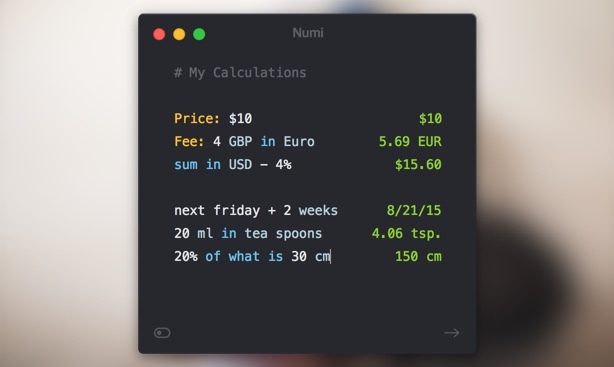 Luckily, there's Numi — an app couples can use to calculate anything using a straightforward language. Whether it's "$500 – 20%" or "today + 11 days" or "2 kg in pounds" or "$20 in euro," Numi can handle it and spare you the extra googling. Play with expressions of any complexity, currency, length, area, dates, volume, time, temperature, and more. Do you remember your last move, when you, packed with enthusiasm, promised yourself to always keep your new house in perfect order and know where everything is. Well, don't sweat it. 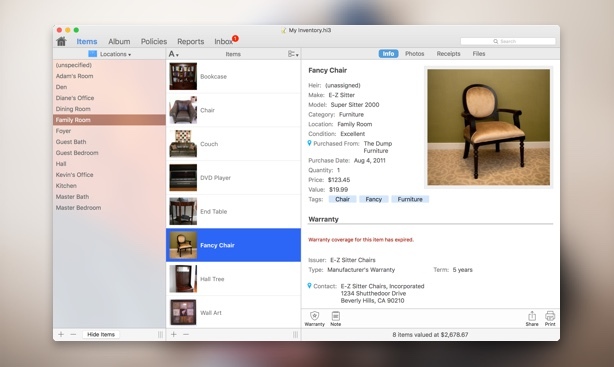 Setapp includes Home Inventory, an app that's going to help you bring order to your household. Home Inventory will organize all those little (yet highly important) documents you need to keep: from receipts to warranty information, product manuals, maintenance schedules, repair and improvement notes. It will put small feuds to an end by giving an easy access to the things you need. Have a break from stress and manually organizing everything, open Setapp and let Home Inventory do at least some of the work for you. It is said the happiest couples are the ones who always have something to look forward to. Maybe it's a vacation (a great article on how to plan the best trips), or a concert, or an event, or a simple weekend doing something you love. No matter the case, your busy life needs a reminder that you should also have some fun. 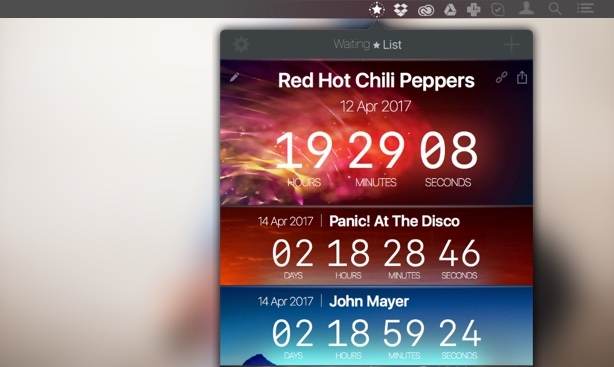 Setapp helps you keep the spark alive with WaitingList, an app that allows you to count down the seconds towards the events you've been waiting for. This event countdown app is a simple pack of pure joy. Add an event, select a beautiful theme, and wait for the day to come with growing excitement. Studies have shown that anticipation is nearly as pleasurable as the event itself, so make a good use of it. Who's in for some family fun? Enough with the waiting, organizing, planning and budgeting. Come together for a pleasant family evening! And if you don't have anything planned yet, Setapp will help. 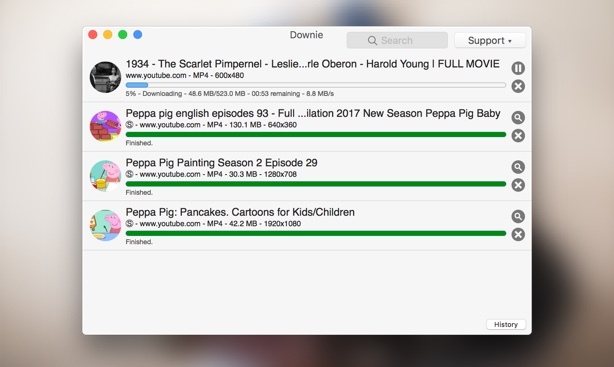 Start with an awesome download app — Downie — and save videos from all over the internet, even in 4K. Think of something you used to love when you were young and share the experience. And if you can't find what you're looking for, try Folx Pro with a built-in torrent download. It helps you to find music or movies online and then neatly label and organize them, adding them to your iTunes playlists. Of course, since you are teaching your kids moral values, you'll be only downloading the content you have the rights for. Once you've got your media, you need a great player to well… see it. Just open up Elmedia Player in Setapp! It supports a ton of video and audio formats, including FLV, SWF, MP4, AVI, MOV, MKV, DAT, MP3. 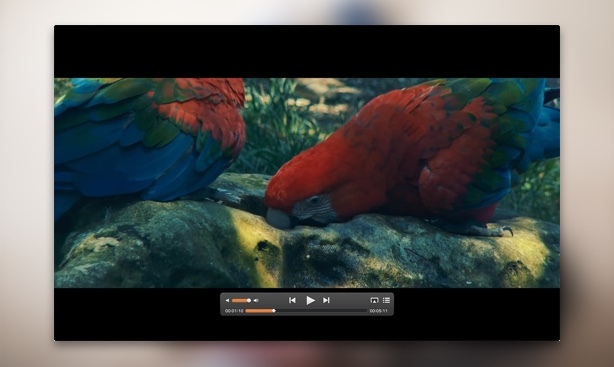 Best of all, Elmedia Player also allows you to watch videos directly online through its built-in web browser while also making your viewing experience better by adjusting brightness, contrast and saturation. Have it just the way you want it. 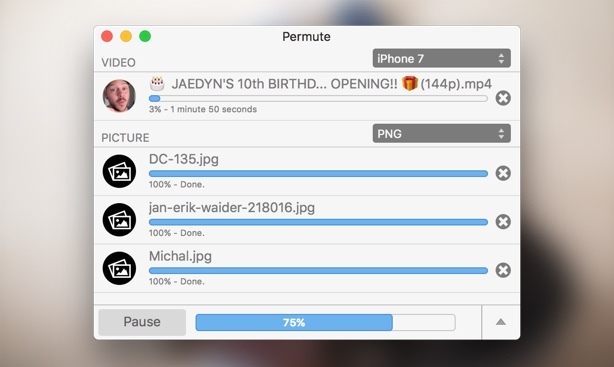 And if you need to turn a video into audio or change the format of an image, be sure to use Permute, which is the fastest and easiest conversion tool available. Now you can adjust your media in seconds to be suitable for your home cinema as well as mobile devices. So it's quite clear with the media, but how about starting a family diary? That means having a place where everyone can reflect and contribute to — indeed writing your family's history! Give Journey a test run and see if you enjoy the idea. 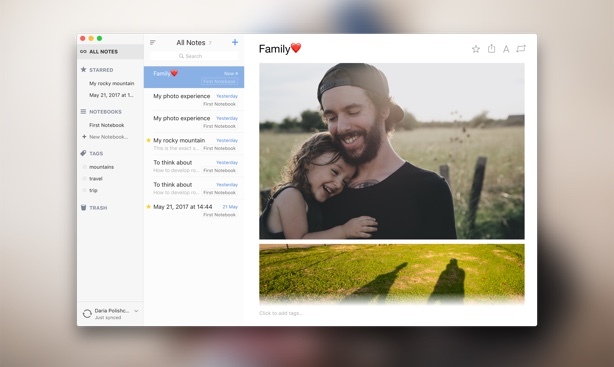 Journey is a brilliant journaling app for your whole family, available on Setapp. It allows you to securely add your thoughts, including video and images, as well as tag notes and add locations, which is invaluable for future reference. Keeping in touch with your family conveniently when you are away, or even during your regular day, is a must. 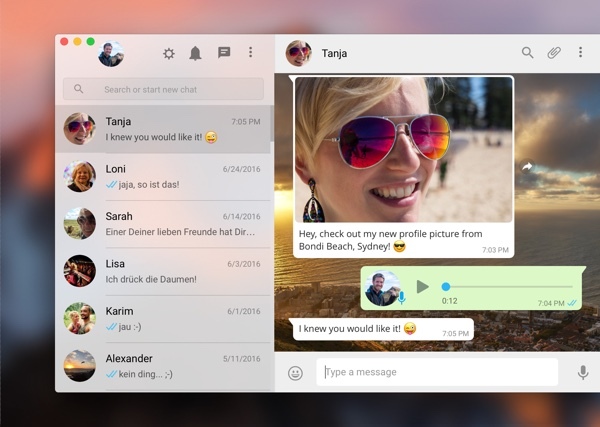 WhatsApp is a great messenger to use, wherever you are, and its flexible WhatsApp desktop client ChatMate, available on Setapp, is best when you are at work and don't want to distract yourself by constantly looking at your phone. 'Tis the question you have every day: What's for dinner? After a seemingly exhausting discussion with your loved one, you often find yourself completely lost as to what exactly you need to buy for any given recipe. Sounds familiar? Avoid the confusion with MacGourmet Deluxe. A straightforward app available on Setapp allows you to add you custom recipes that you family loves and refer back to them at any time. Sharing is caring. Using Setapp as a family brings everything into alignment. Suddenly, you know each other's ideas, ambitions, and plans. 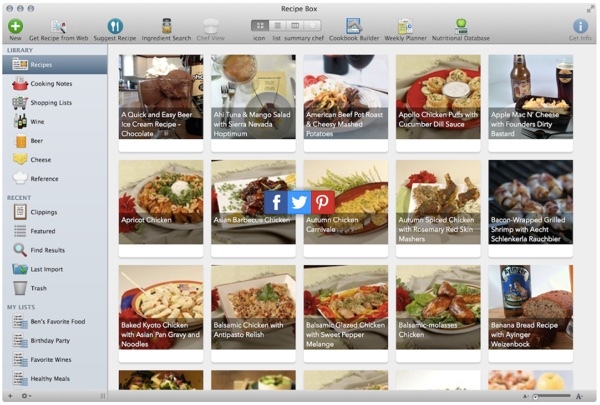 You have access to the same information, whether it's recipes or household documents. Talking to each other and spending time is a breeze. What's more, if you are already a Setapp user, you can gift an account to your better half starting February 19, 2018. Just navigate to your profile and click on the Gift Cards section. Ready to rock at being a couple! Yes, you are. But it's just the beginning of how useful Setapp can be in your life. Day by day, you'll be discovering more and more handy apps, becoming more productive, and really enjoying your leisure time. But for now, here's to happy families!